Today in Masonic History Augustus Henry Glossop Harris is born in 1852. Augustus Henry Glossop Harris was a British actor, impresario and dramatist. Harris was born in Paris, France on March 18th, 1852. Both of his parents worked in the theatre. His father was a dramatist and his mother was a costumier. Shortly after his birth, his parents moved to London and he would spend much of his childhood there. When he turned 12 he would return to Paris to further his education. In 1877, Harris would star in one of the most successful London plays of the day, The Pink Dominos. Two years later he would become the manager of Drury Lane Theatre. There he would be nicknamed the "Father of modern Pantomime". His first pantomime production was Blue Bird followed by Forty Thieves. At Christmas time Drury Lane Theatre became renowned for their holiday entertainment. Harris would produce and co-write all of the large scale pantomimes that the theatre would put on for Christmas. In 1881, Harris would marry Florence Edgcumbe Rendle. The couple would marry in St Luke's Church, Redcliffe Gardens. After Harris' passing, Rendle would re-marry in 1804. Later in life Harris would turn his attention to politics. 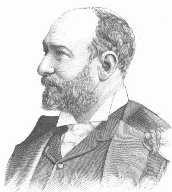 In 1890, he would become a member of the London City Council. In 1891, he would become sheriff and deputy lieutenant of the city of London. He would become chairman of the Eccentric Club, a gentlemens club in London. He would also be knighted. Harris has been commemorated with a fountain at Drury Lane Theatre. The fountain contains various masonic symbols. Harris passed away on June 22nd, 1896. Harris was a member of Savage Club Lodge No. 2190 in London, England.